Llandavel Colliery was a Coal Level and was mentioned in a report from April 1865 and being owned by Mr John Russell. The workmans cottages at Llandavel were built about 1873. The Monmouthshire & Cwm Collieries Co. In 1880 as being owned by the Monmouthshire & Cwm Collieries Co. The Monmouthshire & Cwm Collieries Company were Messrs John and Richard Stanfield and Mr David Nurse. In May 1900 the partnership of Stanfield, Stanfield and Nurse was dissolved. 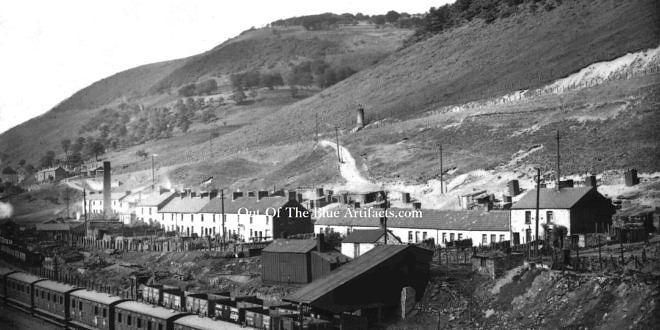 The Llandavel Coal Level, farm and village, at this point was under the control of the Abertillery Local Board as it fell within the Abertillery boundary. In April 1882 Landavel Colliery along with the new Cwm Level was for sale on a reserve of £9,000. It was described as being 800 acres of Red Ash Coal and the sale included siding accommodation on the Great Western Railway, plant and machinery, fifty-six coal wagons, ninety railway wagons, forty-six coke ovens, capable of producing forty-six tons of coke per day. Also for sale were the workman’s cottages and a farm on seventy-six acres. In 1892 after a two year boundary change battle, the Abertillery Local Board conceded the Llandavel Area to the Ebbw Vale Board, the latter took control and gained the land. (Full story on the Marine Colliery page). 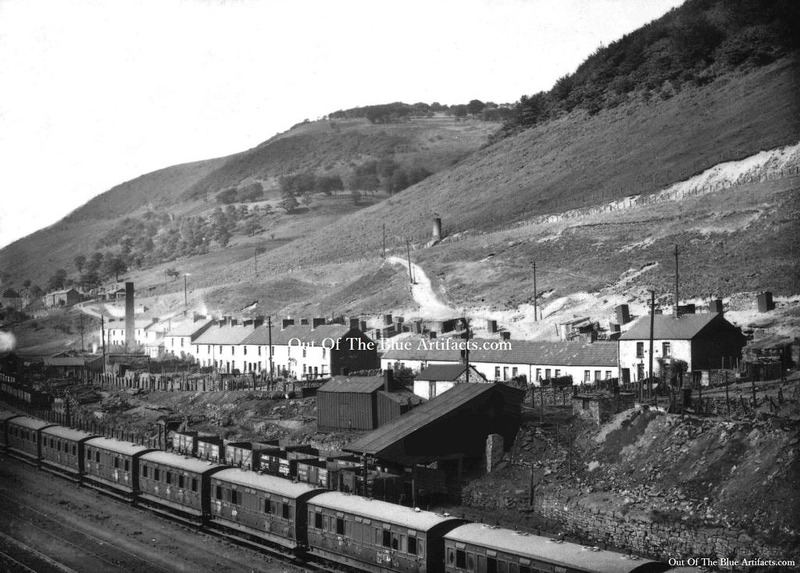 In 1884 the the Llandavel Colliery was combined with the Arral Level and taken over by Messrs James and Emanuel with the manager being Mr Thomas F. Salt later owner of the Rhiw Colbren Coal Levels at Abertillery. Mr Rees Emanuel of Griffiths Town, Pontypool was originally from Carmarthen, he had been associated with coal mining from a young age and managed many anthracite collieries in the Carmarthen area before coming to Monmouthshire to manage the Varteg collieries under Messrs Partridge Jones & Co. Mr Emanuel had also been a partner in the Monmouthshire and Cwm Collieries Co with Messrs Richard and John Stanfield. Mr Rees Emanuel also had interests in the Tirpentys Colliery and had shares in that company. He was a Welsh speaker and worked hard to keep the language alive in South East Wales. In 1884 Mr W. P. James J.P. was a native of Abersychan and became chairman of the Monmouthshire Borough Council. Mr James later joined into a partnership with Mr Rees Emanuel and took over the Abersychan, Arral and Llandavel Collieries. The Death of Mr W. P. James. He sadly died in April 1904. Mr W. P. James was a native of Abersychan and became Chairman of the Monmouthshire Borough Council. In January 1906 a serious landslip occurred at Cwm, it completely demolished part of the Cwm Colliery and slid down to the Great Western Railway. A large number of men were needed to clear the debris. In 1918 the Llandavel Colliery was listed as being abandoned but were still employing 40 men at that time. Messrs W. A. Boulton & Co. In 1923 it was in the ownership of Messrs W. A. Boulton & Co of 5 Canning Street, Cwm. Points of Interest – This colliery and village is hard to find in documentation as it had so many different spelling variations of its name. – Llandaval, Llandavel, Llandafal, Llan-davel, Llan-dafell, Llan-y-davel , Llan-y-dafal and Llanydavel etc etc. In the (main featured image above) there can be seen in the back gardens of the cottages black boxes, these are earth closets, an early form of toilet pre-sewage system. A hole was dug in the garden and the box is placed over it, this can then be used as a toilet by all the family or household. When the hole is full it is covered over with soil, a new hole is dug and the box moved to its new location over the newly dug hole. This went on and on throughout the year. As this practice was relatively unhealthy the councils urged residents to start using buckets and the employed scavengers workmen with sealed horse & carts to visit each home to convey the mess away, a short while later this practice was abandoned as the laying of sewage pipes and the sewage system was established.